Home BLOGS Honor Launches Holly 4: The Budget Blockbuster is Here! Honor, Huawei’s sub brand for digital natives, today launched its eagerly anticipated budget device-Holly 4, in India. Available at a very attractive price, the Holly 4 comes packed with exciting features and best in class specs, and will be available across Honor’s extensive 30,000 retail points spread across 400 cities and towns pan-India. This smartphone is aimed at value conscious consumers who do not wish to compromise on any aspect of a rich and seamless smartphone experience. “Holly 4 is part of our festive offering to consumers wanting to buy a great device in a budget. Sporting a sleek, elegant metallic design with a fast fingerprint sensor we are confident that this smartphone will be a big winner said P Sanjeev, Vice President – Sales, Huawei Consumer Business Group India, “India is a diverse market and we aim to offer products that meet the needs and preferences of the varying target audience. The response so far to our Holly series has been highly gratifying and with the latest Holly 4 we are certainly upping our game in the competitive sub-15k segment, he further added. The Honor Holly 4 will be available in Grey, Gold and Silver color, and will be available for purchase from October 03 at an MOP of INR 11,999 across all Honor partner stores pan Indian. The device will be bundled with a 5V/1A charger, 3.5 mm handsfree with inline call button, and standard USB-A to microUSB cable. Honor has further strengthened its service capabilities and has increased the number of service centers pan India to provide unmatched after sales service to its consumers. The Honor Holly 4 will come with standard 12 month service warranty. 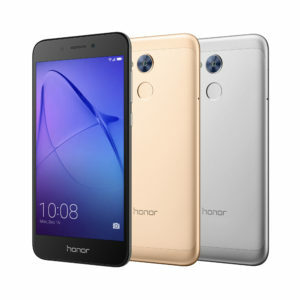 The Honor Holly 4 is a masterpiece of minimalist design and carries forward the design DNA of Honor products. The 8.2mm slim device is a perfect construct of metallic body with curved design, sandblasted to provide the best possible ergonomics and user appeal. Making a powerful statement are the metal body with its curved sandblasted corners that enhance the ergonomics. The Holly 4 protects users’ privacy and information security with Huawei’s world-leading biometric fingerprint recognition technology. The enhanced fingerprint sensor allows users to personalize and safeguard their devices by significantly lowering the possibility of fraudulent or accidental device access, while also ensuring users can quickly and securely access their smartphone. The fingerprint sensor also doubles up as an additional key which can be configured to perform a variety of tasks like browsing through the pictures, stop alarm, pick call, take pictures and many more. The Holly 4 has a 3,020mAh high-density battery that offers users the benefit of outstanding mobility and battery life. The newly launched device is wired to deliver the power, connectivity and speed that today’s discerning smartphone user expects from an Honor phone thanks to the Qualcomm Snapdragon 430 Octa-Core 64bit processor. With a 12.7cm 720p display, the Holly 4 boasts of 3GB RAM and 32GB internal storage which can be expanded by up to 128GB with a micro SD card. In line with Honor’s innovation in smartphone photography, Honor Holly 4 brings together best-in-class hardware and software, from optical lenses, to sensors, to image processing algorithms, empowering users to capture the highest-quality images. The Holly 4 sports a 13-megapixel rear camera allowing users to capture with a 5 megapixel front camera gives clarity to the pictures allowing users to take crisper selfies. It also comes with loads of unique camera modes like Timelapse, slow motion, Pro Video, Pro picture, The composite focusing system of the Holly 4 supports PDAF for faster auto-focus speeds (as fast as 0.5s*), enabling users to capture the perfect picture both quickly and easily.